The Florida DUI Defense Lawyers at Whittel & Melton want to wish you and your loved ones a very Merry Christmas & Happy New Year! The holidays should be a joyous time of year, so keep your safety and the well being of those you care about at the top of your list. 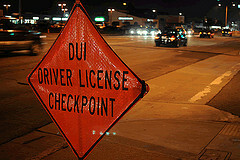 Should you find yourself faced with a holiday DUI this year, do not hesitate to contact us at anytime, day or night. We can review the facts of your DUI arrest and begin helping you right away. For a free consultation, call us toll-free at 866-608-5529.